Mini-Grants to replicate the CSYSG training across the state have been awarded to the following organizations. To search upcoming workshops across California visit the California School Garden Network's event calendar. View list of Mini-Grant funded Organizations on the bottom of this map: 2012-2013 CSYSG Proposed Locations. The Creating and Sustaining Your School Garden (CSYSG) Mini-Grant Program was established by the California Department of Food and Agriculture (CDFA) to support the statewide training efforts of organizations that have participated in the Creating and Sustaining School Gardens Trainers’ Workshops. The purpose of the program is to increase the availability of comprehensive, affordable training for new school garden programs, with the goal of providing CSYSG content to over 450 people representing 100 schools across California. Download Mini-Grant information sheet and a copy of application questions. Applications must be submitted on line at the links below. Individuals and organizations that attended the CSYSG Trainers’ Workshops are eligible to apply for mini-grants. If more than 30 qualified applications are received, applications will be evaluated on the comprehensiveness of the training plan and the potential impact of the training, to be determined by the estimated number of workshop participants, the number of schools represented, and the geographic location of the training site. Applicants may apply for more than one mini-grant. If applying for one than one mini-grant please submit a separate application for each training plan/location. 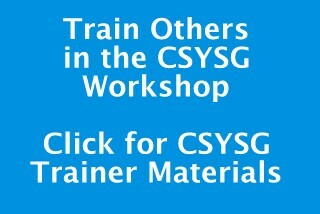 Work in a team of 2 or more trainers to conduct at least six hours of training using the CSYSG workshop materials. The training may take place over multiple training sessions, but the total training time must equal at least six hours. Train at least 15 people. CSYSG training is recommended for school garden teams of 3-6 people, with 4 or more schools per workshop. We recommend school garden teams include at least one teacher. They can include parents, community volunteers, school administrators or other garden supporters. Offer free or low-cost training. Workshop registration fees may not exceed $40/person. List their workshop(s) on CSGN’s event calendar (www.csgn.org). Collect written workshop evaluations from participants. Submit an online final report survey that will include the workshop agenda, a roster of participants, and a summary of participant evaluations. Reports are due within 30 days after the training. During the 2012-2013 school year, Life Lab will use CDFA funds to award up to 30 mini-grants of $550 each. NOTE: Indirect costs are not allowed on these mini-grants. Applications must be received by July 6, 2012. Mini-grant recipients will be notified by July 20, 2012. Training must take place before August 30, 2013. Funds will be awarded after training is complete. A class roster, agenda, and final report (summary of activities and feedback) are required for funds to be awarded. Life Lab, the UC Davis Children’s Garden Program, and the Resource Conservation District of San Diego County will serve as regional grant management sites to oversee the funded trainings. Each mini-grant recipient will be contacted by staff from one of the above organizations. The regional grant management sites will provide consultation as needed on workshop content and logistics and collect final event reports.